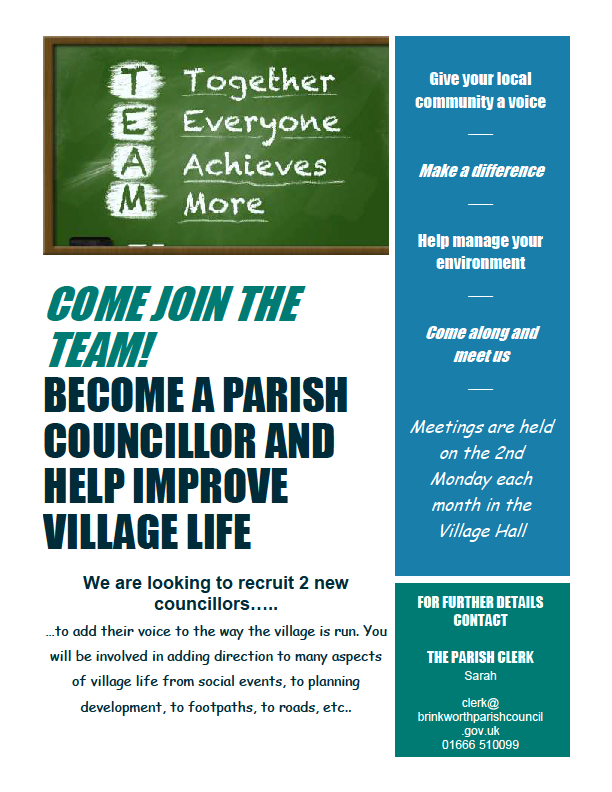 We would like to welcome you to the Brinkworth Parish Council website. 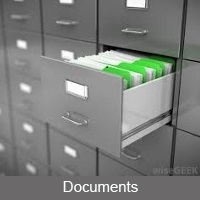 Our aim is to give parishioners an insight into the Council as well as deliver access to various documents and information. 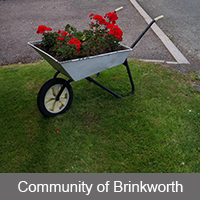 Brinkworth Parish Council works to represent the residents of Brinkworth. Your Council consists of 11 Councillors, including the Chair and Vice-Chair. 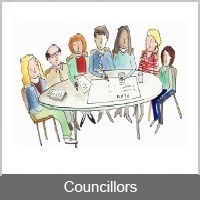 Their contact details and further information is available on the ‘Your Councillors’ page. Our regular meetings are held in the Village Hall, and the public are invited and welcome to attend. 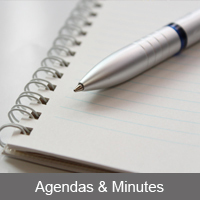 The dates of meetings are shown on the ‘Agendas & Minutes’ page. 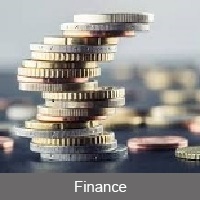 Notices of meetings are published on the website and also on the various noticeboards in the Parish at least 3 working days before each meeting is held. A ten minute Public Forum is held at the start of all Parish Council Meetings to allow Parishioners the opportunity to raise issues and ask questions. Parishioners are encouraged to get in touch with the Clerk to the Council with any queries. 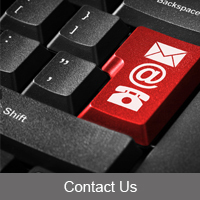 Details can be found on the ‘Contact us’ page. We are still awaiting for this application to be 'called into Committee' by Wiltshire County Council - the delay is being caused by the Ecologists mitigation report with regard to the newts. March 2018-Updated plans have been uploaded to the WCC website - these were discussed and voted on at the meeting on the 12th March - the Council once again rejected the proposals. Please refer to the link to the Wiltshire County Council planning department and the Glebe Field planning application here - 15/07234 to comment. CONCERNED ABOUT SPEEDING IN THE VILLAGE? The Council have been made aware that there is a local petition in circulation which opposes the Glebe Field development; Planning Application 15/07234/FUL can be found on the North Wilts Planning Portal. The petition is available for those who wish to sign it - for details. 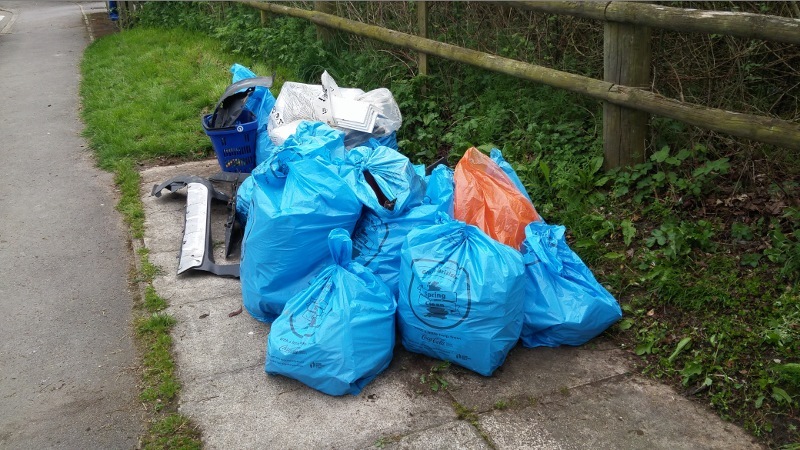 Many thanks to everyone who came along and participated in the Village Litter Pick! and co-ordinated the whole thing! 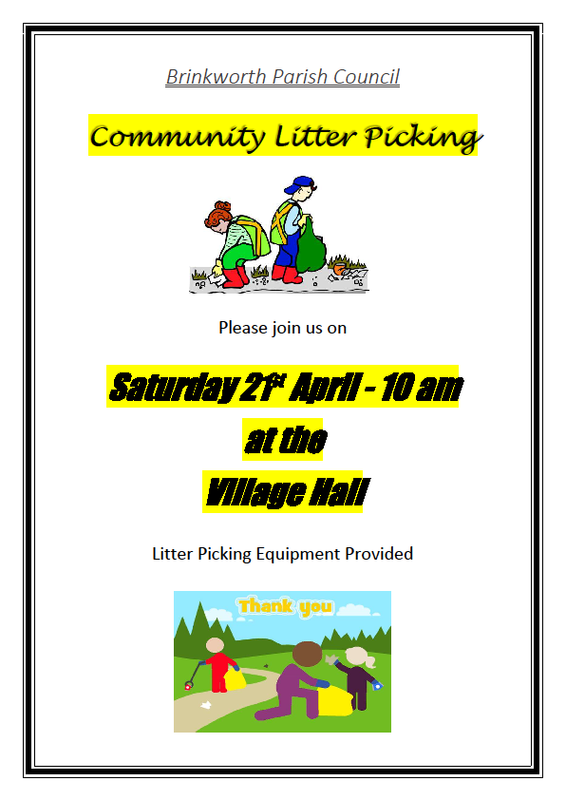 © Brinkworth Parish Council . All Rights Reserved. Design by Vision ICT Ltd.